The Indonesian government has vowed to continue the controversial transmigration program in West Papua. The program entails relocating people from the highly populated areas of Indonesia to less populated regions, including Papua and has already resulted in significant demographic changes. The continuation of the program has angered the local indigenous population, who feel the program will lead to further discrimination against them. Maintaining Indonesia’s transmigration program in Papua will threaten indigenous culture and further destabilize an already troubled area, critics of the controversial policy say. The concerns come after Indonesia’s newly appointed minister in charge of transmigration said the program will continue in Papua province under his watch. Aleks Esema, a 50-year-old Papuan, told ucanews.com in a phone interview in the first week of November  that the central government’s migration program would widen the worrisome gap between native Papuans and new migrants. Transmigration, he said, “will give us Papuans nothing”. The transmigration program was initially created by the Dutch colonials, but intensified under a newly independent Indonesian government. It aimed to send lower-income families from densely populated islands like Java and Bali to less populated areas of the sprawling archipelago, including Papua. Over more than six decades, the program has resettled at least 8.8 million people to less populated regions, according to government data released last year. However, the program has proved controversial, with critics charging that it has inflamed tensions with non-Javanese indigenous populations in wildly diverse Indonesia. Marwan Jafar, freshly appointed as the country’s minister of villages, disadvantaged regions and transmigration, told reporters last week [October 2014] that he would continue the transmigration program in Papua. The priority, he said, will be to end ethnic conflicts in West Papua because he believed potential migrants feared going to the region because of security fears. The Indonesian government has been accused of human rights abuses while trying to suppress independence movements in Papua and West Papua provinces. Given the tensions, some Papuans say, the government must first heal existing “wounds” before renewing migration plans. At the very least, she said, any migration program must begin with an open consultation process with Papuans themselves. Papua's governor, Lukas Enembe, told media this week that continuing the transmigration program would only marginalize the local population, and threaten to make Papuans minorities in their own land. But statistics suggest that may already be occurring. Cypri Jehan Paju Dale, a researcher who has studied Papua, says the transmigration program has driven startling demographic changes. “Currently, the number of Papuans [in Papua] is less than 50 percent of the total population,” he said, citing 2010 government statistics that found indigenous Papuans consisted of 49 percent of the province’s then population of 2.8 million. He said the program has led to large numbers of migrants controlling the economy in towns and villages, with Papuans largely relegated to remote areas with inadequate public services. The government’s plan to send even more migrants to Papua, he said, “is part of a new problem, which will worsen the local conflicts”. Research also suggests the imbalance will only intensify within this decade. 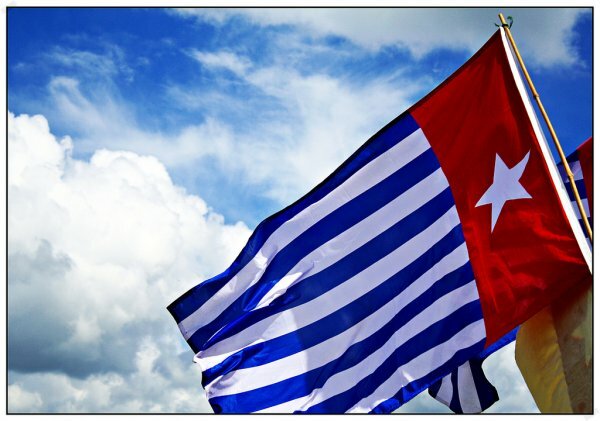 In a 2010 analysis from the University of Sydney’s Centre for Peace and Conflict Studies, researcher Jim Elmslie projected that Papuans may comprise less than 29 percent of the populations of Papua and West Papua by 2020. Fr John Djonga, an activist priest critical of the government’s Papua policies, said Jakarta must review any plan to continue or intensify transmigration programs in the region. “Never let the seeds of conflict grow. Otherwise, migrants will face the risks,” he said.